Looks delicious. Too bad some of the ingredients are very difficult to find in my neck of the woods! That’s a shame! 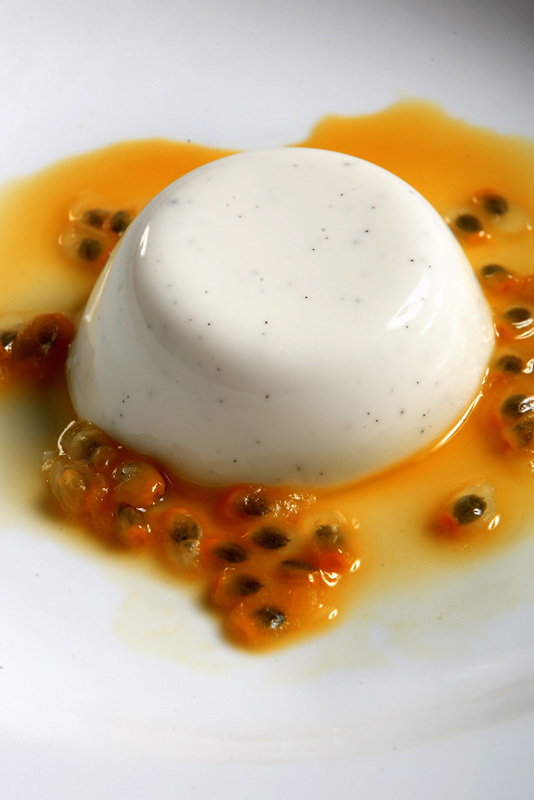 The most important thing with panna cotta’s is the gelatine/liquid ratio. If you don’t have leaf gelatine then you can substitute powdered: One packet (1 tablespoon) of powdered gelatin equals 4 gelatine sheets. Other than that feel free to use whatever flavours you like. That’s what worried me… I have yet to find gelatine sheets and wondered if the powder was usable! I figured I might be able to find kaffir lime leaves in the Chinese market – if I’m lucky! Kaffir Lime is in the oriental stores, Just freeze what you don’t use, they last a long time. I just wish there was a button or something to translate the quantity to US measurements. Kaffir lime leaves are great for sweet or savoury recipes and are used a lot in SE Asian cooking for soups, curries etc. Here’s a quick grams to ounce converter if you’re from America. Cheers!